One of our favorite ways of using up extra stocks is to make a fruity and richly spiced plum chutney which can be stored for up to 6 months in Kilner® jars. Mix all of the ingredients apart from the sugar together in a big pan and bring to the boil. Once boiling, reduce the heat, cover the pan and simmer for ten minutes to tenderize the plums. Add in 2 tsp salt and the sugar and mix well to dissolve. Keep the pan uncovered and boil the mixture for 25-30 minutes stirring every so often to avoid it sticking to the pan. Pour the chutney into warm sterilized Kilner® jars leaving 1/2 inch headspace. Wipe threads of your jar and seal. 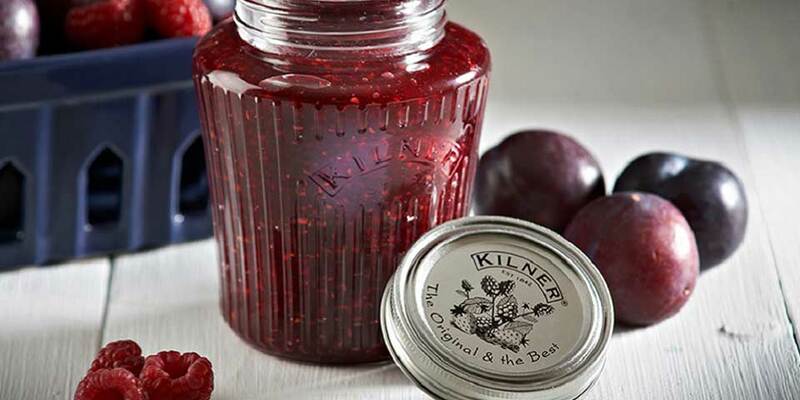 Process your Kilner® jar using your preferred method or as advised in your recipe. Make sure the chutney is stored for at least 2 weeks before opening.